It has been observed that large number of overseas people who have received permanent residency of Australia for first 5 years and they do not live in Australia and when their residency is about to expire and they suddenly wake up to continue their residency so that they can travel freely to Australia. Please remember that Australian Immigration Laws are not only complex but also changing frequently and changes can affect your residency status. The best option for those overseas people who do not wish to live permanently in Australia and who do not wish to make Australia home would be that they give up their residency and make way for those overseas people who would be genuinely interested in living in Australia permanently. The last moment wakeup call would not be beneficial to permanent residents who would not prepare themselves to continue their residency for Australia. 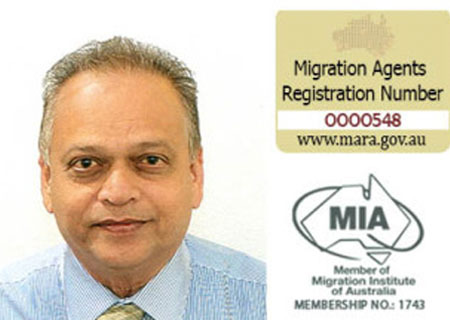 These people must seek advice well in advance either from the nearest Department of Immigration of Australia or experienced registered migration agent if they wish to continue their residency for Australia. They must know their options well in advance before expiry of their residency visa. 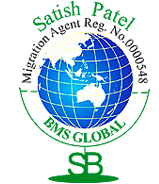 We at BMS Global deal with such issues of resident return visa and those who wish to know their options well in advance are encouraged to contact us much before expiry of their residency visa so that they do not end up losing their residency visa. A small consulting fee will not only give you peace of mind but would make you aware of your options and requirements to apply for resident return visa for Australia. The Resident Return visa (subclasses 155 and 157) is for current or former Australian permanent residents and former Australian citizens who want to travel overseas and return to Australia as permanent residents. The Resident Return visa lets you stay in Australia indefinitely as an Australian permanent resident. It is a permanent visa with a travel facility that lets you travel to and from Australia for up to five years from the date it is granted. Once the travel facility expires you will need to apply for, and be granted, another permanent visa if you want to leave Australia and return as a permanent resident. You can apply from in or outside Australia. If this visa is granted, any time that is left on your current visa will be lost. a former Australian citizen who lost or renounced your citizenship. A ‘former Australian permanent resident’ includes anyone who was recognised as a permanent resident of Australia under the migration arrangements that applied at the time they were in Australia. a Return Endorsement (RE) between 1 November 1979 and 31 December 1986.
you have not become an Australian Citizen. You have been sent a notice regarding the possible cancellation of your most recent permanent visa under section 134 of the Act and no cancellation decision has yet been taken. Your most recent permanent visa was cancelled under section 134 of the Act and the cancellation decision has not been set aside by the Administrative Appeals Tribunal. have spent a period totalling two years in the last five years in Australia as either an Australian permanent resident or citizen (the ‘residence requirement’). have not spent two of the last five years in Australia as a permanent resident or citizen, but are the partner or dependent family member of a person who holds a subclass 155 visa, or who has also applied for a Resident Return visa and satisfies criteria for grant. Business ties: If you are claiming business ties with Australia, you will need to provide proof of the ties and how they are of benefit to Australia. You will need to show that you have substantial ownership interests in the business and are personally involved at a senior level in the day-to-day operations and management of the business. The business activity needs to be ongoing, regular activity that is commercial in nature, has an intention to make a profit and has a system of record keeping and management that substantiates the business activity claimed. Cultural ties: There are a range of intellectual, artistic, sporting or religious pursuits which are not strictly of a business or employment nature but may be considered to be a cultural tie to Australia. In many cases it is likely that the reasons claimed as cultural ties would be consistent with the basis for the grant of your original permanent visa. If you are claiming cultural ties, you will need to provide proof your role is adding to Australia’s cultural life. This can include publications you have written, your membership of cultural associations, any media articles about you or proof of your performances. Employment ties: To prove you have employment ties to Australia, you must show that you are currently employed, or have a formal offer of employment in Australia, or are employed overseas by an Australian organisation, or are able to show that your employment by a non-Australian organisation has a demonstrable benefit to Australia, for example, working as a representative of Australia for an international organisation. Personal ties: Substantial personal ties may be of benefit to Australia if you are, or have been, a participating member of the Australian community and economy. Living in Australia for a substantial period of time or living overseas with an Australian citizen partner is taken into account. Proof of personal assets or family who live in Australia could also help to demonstrate personal ties if you are able to show they are both substantial and of benefit to Australia. If you have been living outside Australia for more than three continuous months immediately before applying, you must also show that you were absent for a compelling and compassionate reason. If you have lived in Australia for at least two years of the past five years and are granted a Subclass 155 Resident Return visa it will have a five year travel facility from date of grant. If you are granted a Subclass 155 Resident Return visa on the basis of your substantial ties of benefit to Australia, then your travel facility will be for a year from the date of the grant. If you are granted a Subclass 155 Resident Return visa because you are a family member of a person who holds a Subclass 155, or who has also applied for Resident Return Visa and satisfies criteria for grant, then your travel facility will be for either a year or less than a year from date of grant. If you are granted a Subclass 157 visa the travel facility will be for 3 months from date of grant. The following information tells you how to apply for a Resident Return visa. You can be inside or outside of Australia when you lodge your application. If you are inside Australia when you apply or you lodge your application online, you can be in or outside Australia when Department of Immigration decides your application. If you are outside Australia when you apply and you use a paper application form you will need to be outside Australia when Department of Immigration decides your application or Department of Immigration cannot grant you this visa. Dept of Immigration can make a decision using the information you provide when you lodge your application. It is in your interest to provide as much information as possible with your application. Please provide certified copies of original documents. Do not include original documents unless Dept of Immigration specifically ask for them. Police certificates should be original documents. Documents not in English must be accompanied by accredited English translations. Visa application requirements differ from country to country. If you are applying outside Australia, your nearest immigration office outside Australia will tell you exactly how to lodge your application and what documents to provide. Some documents could take some time to obtain. You should have them ready when you lodge the application to reduce any delays in processing. Lodge your application online. Australian permanent residents can apply for this visa online at website of Dept of Immigration. You must provide all relevant documents and pay the visa application charge by credit card when you apply. Not all applicants are able to apply online. If you are one of these clients, you will receive a message advising you to contact the department. You can also lodge your application by post or in person. Applying in Australia: If you are in Australia, and cannot apply online you can lodge an oral application over the telephone or at any of offices of Dept of Immigration, or you can use the following form Form 1085 Application for a Resident Return visa. You must provide all relevant documents and pay the visa application charge when you apply. Applying outside Australia: If you are outside Australia, and cannot apply online you can use the following form 1085 Application for a Resident Return visa Contact one of the immigration offices outside Australia for information about where and how to lodge your application and supporting documents; hours of operation for counter and telephone services; and website addresses. granted. When your visa is granted Dept of Immigration will tell you how long your travel facility lasts. This visa lets you live in Australia indefinitely. While the travel facility is valid, you can leave and enter Australia as many times as you want. You do not need a Resident Return visa label or stamp in your passport to enter Australia, but other countries might require an Australian visa label or stamp in your passport as proof of your right to return to Australia. You can get a visa label by completing Form 1045 Visa label request and payment . You can lodge this form by post at one of our Australian offices or an immigration office outside Australia. If you get a new passport you should let Dept of Immigration know so they can link it to your Resident Return visa to it. You must keep Dept of Immigration about your changes in circumstances by sending them Form 929 duly filled in and signed by you. Submit or lodge your application to the relevant Assessing Authority or Department for processing as soon as possible. Wherever possible, supply any further documentation or information requested by the Department on receipt of documents from the applicant. Please feel free to contact us at any time suitable to you and we will quote you the best possible price to carry out your work. Each case is unique and the work involved differs case to case, and accordingly we quote our price to our clients.